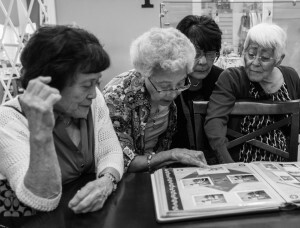 Photos from Russell Lee’s documentation of Japanese American farm labor camps are now on display in Oregon and are scheduled to tour throughout the West Coast early next year. 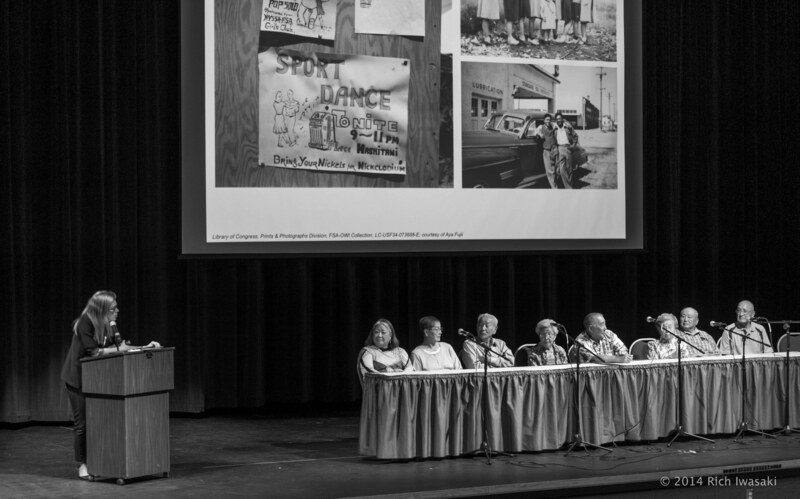 After 70 years marked by silence, 250 former labor camp workers, their families and local community members gathered at the Four Rivers Cultural Center for the debut of “Uprooted: Japanese American Farm Labor Camps During World War II” on Sept. 12 in Ontario, Ore., to view wartime images and share the stories behind them. Approximately 45 black-and-white photographs were on display from the Nyssa, Rupert, Shelley and Twin Falls camps, along with captions and names. In addition to the photos are 10 video interviews that highlight the personal narratives from labor camp workers. 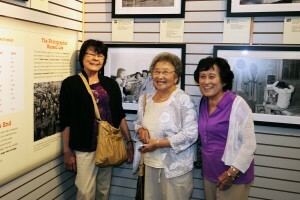 The “Uprooted” exhibit is supported, in part, by grants from the U.S. Department of the Interior, National Park Service, Japanese American Confinement Sites Grant Program, the Idaho Humanities Council, the Malheur County Cultural Trust, the Rose E. Tucker Trust and the Oregon Cultural Heritage Commission. 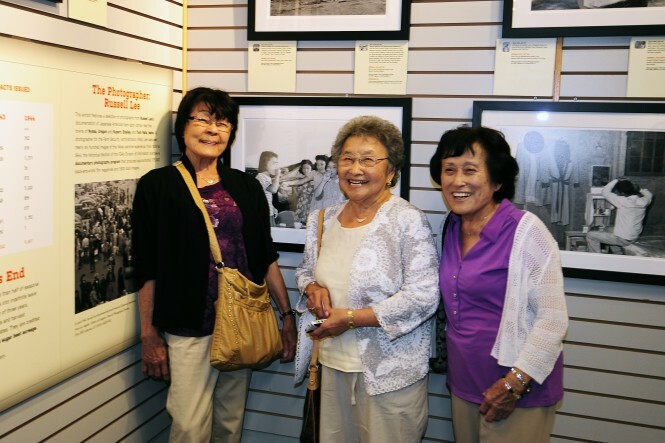 Additional funding for the exhibit’s marketing costs came from a JACL Legacy Fund grant that was awarded to the Snake River JACL and Four Rivers Cultural Center. 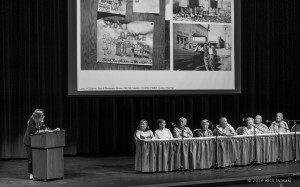 Consulting historian and project director Morgen Young gave a panel lecture the following day, where she was joined onstage by eight individuals who lived in the labor camps. They included Aya Fujii, Tom Fujii, Paul Hirai, Patricia Imada, Janet Koda, Henry Mishima, Taka Mizote and Yasu Teramura. During the discussion, which was moderated by Young, the panel answered questions from the audience about their time in the camps, life after the war and their understandings of the farm labor camp experience. Lee’s photos not only brought communities together but also helped families find images of their loved ones. For Koda, photos of her mother, Mary Akiko, and her father, Sunny Yoshio Takami, became family treasures. “Uprooted” began in 2004 when Young stumbled upon nearly 600 photos from Federal Farm Security Administration photographer Lee that he had taken in the summer of 1942. As her research unfolded, an estimated 400 photos were from the Nyssa Labor Camp in Malheur County, where Japanese Americans were living and harvesting crops. Camps like Nyssa were a product of the “Oregon Plan,” created by George Aiken, a former Ontario mayor and then secretary to Oregon Gov. Charles Sprague. Aiken presented the plan at an April 1942 conference organized by the War Relocation Authority to put the state’s 4,000 Japanese American residents to work on land and transportation projects in Civilian Conservation Corps camps. When the WRA rejected the proposal, Aiken rewrote the plan and established the first FSA camp near Nyssa. With a large number of men fighting in the war or working in wartime industrial jobs, states like Oregon experienced a serious shortage of farm laborers, especially those harvesting sugar beets. Sugar was a vital wartime commodity and in high demand, making seasonal laborers essential. The crop was converted to industrial alcohol and used in the manufacturing of munitions and synthetic rubber. As the wartime effort increased, the deficit in farmers caused state and local officials to look for other sources of labor. As a response to this, Aiken and the WRA opened the seasonal leave program for Japanese Americans to leave assembly centers and concentration camps for agricultural work. Later that year, the WRA authorized 400 incarcerees to leave the Portland Assembly Center to work in Malheur County, kick-starting the WRA’s seasonal leave program. By the end of 1942, approximately 10,000 incarcerees were in camps in eastern Oregon, Colorado, Idaho, Montana, and Utah. Young later found that the farm labor program would become a precursor to the WRA’s larger resettlement program, which relocated families away from the concentration camps and into the interior of the United States. Japanese Americans left the WRA detention camps for seasonal farm labor to earn better wages — 45 cents an hour and $9.50 per acre during harvesting — and a chance to contribute to the war effort as well as the opportunity to escape armed guards and barbed wired. During Young’s interviews with former labor camp workers, she discovered the phrase “The camp without a fence” as a reoccurring theme. 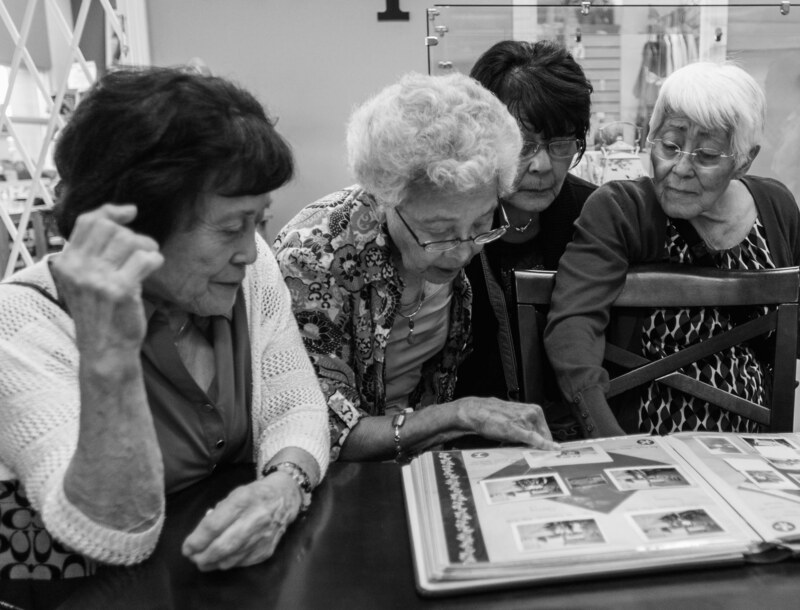 “I made some lifelong friends — good friends at Nyssa,” Aya Fujii, now 87, said. Fujii and her family worked in the Nyssa camp. She met her husband, Edward, there when she was 18. Census records showed that 137 Japanese Americans lived in Malheur County in 1940, about one-half of the percent of the county’s total population. By 1950, 1,170 Japanese Americans lived in Malheur, making up five percent of the county’s population, suggesting that strong communities had formed during the war, which caused many to stay. 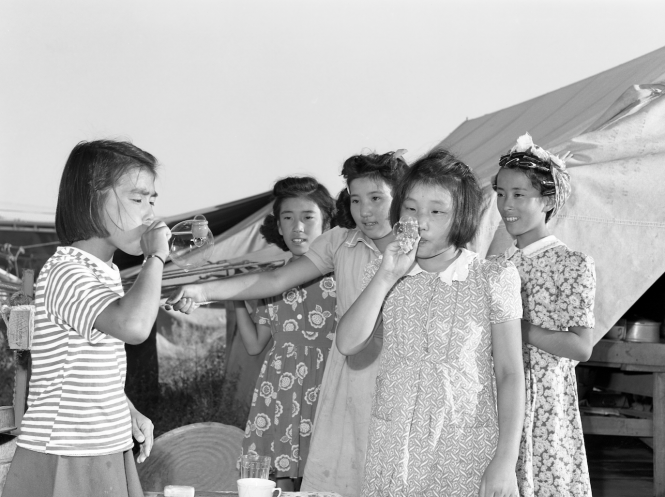 However, the farm labor camps weren’t all positive experiences for Japanese Americans. In May 1942, Idaho Gov. Chase Clark gave a speech in Grangeville and said that the Japanese “live like rats and act like rats” to a rotary club, suggesting that the real solution was to send the Japanese back to Japan and “sink the island.” Views like Clark’s may have influenced the state’s overall attitude toward the Japanese and Japanese Americans, encouraging those communities to leave Idaho after the war when the seasonal leave program and farm labor camp programs ended in 1944. James Tanaka and his family worked at the Twin Falls Labor Camp in Idaho and stayed there until 1949 before moving to California. Tanaka explained that his family received the WRA’s approval for indefinite leave from the Minidoka Camp to work at Twin Falls when the program ended. Over the course of three years, families like Tanaka’s were able to stay at the farm labor camps to help cultivate and harvest thousands of acres of sugar beets. Tanaka remembered that Idaho state officials had two conditions for the labor camps. First, Japanese Americans couldn’t buy land, and second, they could not stay in Idaho after the war, leaving Tanaka to believe that this was the reason why his family left Twin Falls. However, the seasonal laborers-turned-indefinite laborers are credited with saving an estimated one-fifth of the area’s sugar beet acreage. Others agree that exhibits like these are important contributions to the American narrative and not just for Japanese Americans. Young also included a lesson plan with educational material as part of the “Uprooted” exhibit. Peter Pappas, the exhibit’s educational consultant, hopes the material will help students tackle essential questions on historical documentation and discussion. Viewers can watch the videos online along with the classroom lesson plan written by Pappas, see photo slide shows and read more about the Japanese American Farm Labor Camps at www.uprootedexhibit.com. The “Uprooted” exhibit is currently on display until Dec. 12 before going on tour. Please check the website for future dates and locations. Organizations can host the exhibit through the website as well by contacting uprootedexhibit.com.